September sees the transition from Summer to Autumn, the weather can still be warm but the shortening days bring change such as cold nights and with it the possibility of frost. The Autumn Equinox, 21st - 23rd September is when there is equal periods of night and day and marks the start of Autumn. This period is celebrated as Harvest Festival, and is known as the 2nd harvest, the first being August 1st known as Lammas. By now most birds will have finished moulting their feathers. There is still plenty of food to eat, but as the month progresses they will begin to establish their territory in preparation for winter. Summer visitors such as Swallows, House Martins and Swifts leave early in the month. Other birds such as Meadow Pipits start to migrate to lowland areas. The insect population declines rapidly with the progress of the month. 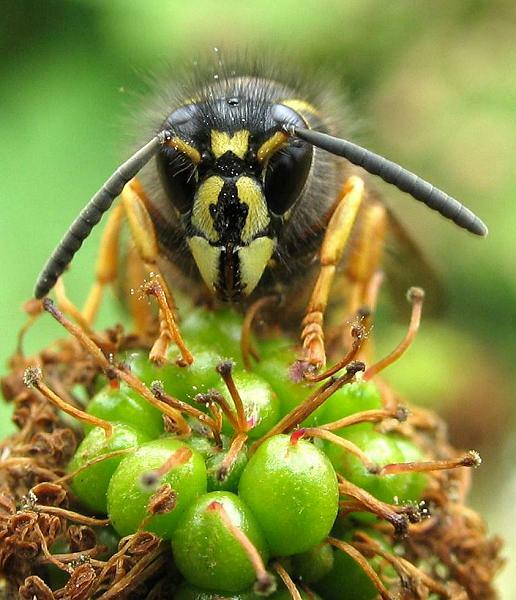 This is the time that wasps may become more of a nuisance. During the summer they have been feeding their larvae in return for sugar saliva. 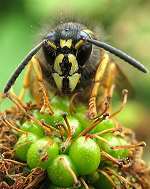 Now there is no larvae to feed as the queen has stopped laying eggs, the wasps search for other food such as fruit to feed on. Dragonflies and Damselflies are now becoming scarcer as our weather becomes a challenge for them; cold wet and wind makes it difficult for them to survive. 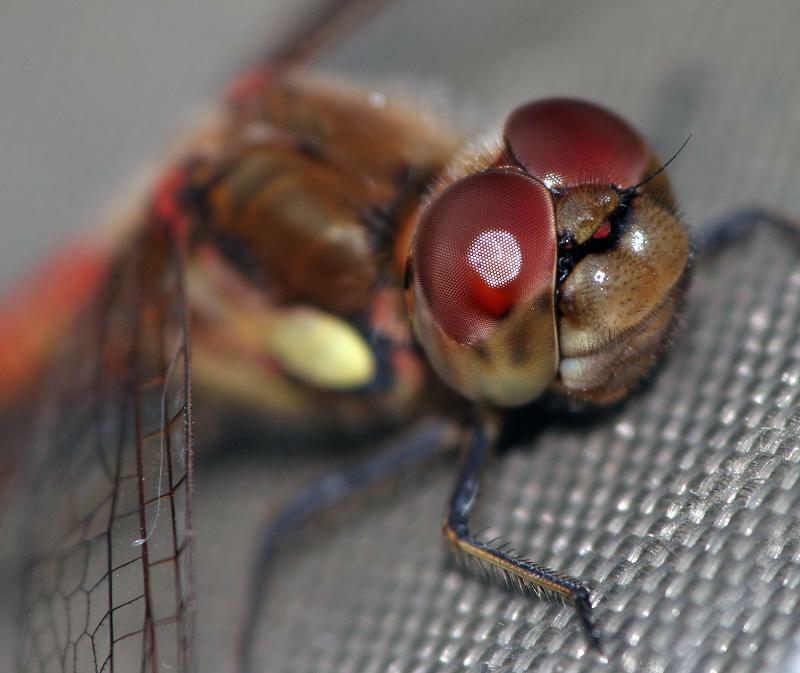 The large Hawkers such as the Common Hawker will be seen less, the smaller Common Darter (photo left) is probably the one dragonfly you are likely to see during the month. Spiders and Cranefly (Daddy-long-legs) can be seen, noticeable by their long dangling legs and weak flight. House spiders as their name suggests are seen in the house, looking for somewhere warm now the weather is becoming cooler. Himalayan Balsam is flowering early September, its pods exploding as it spreads seed in a wide direction. 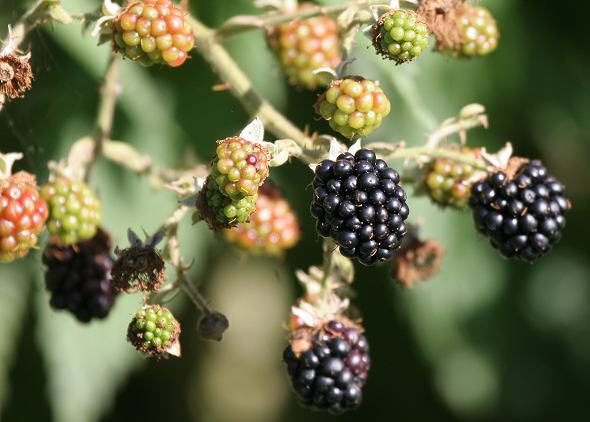 The hedgerows are full of berry particularly Hawthorn, elderberry and blackberry. The leaves of deciduous trees begin to take on their russet colours. Fungi start to appear in woodland and fields. 15th September 2008; Swallows left Greenfields Haworth to migrate south. Over the summer they raised two broods, 4 chicks and then 5 chicks which all fledged successfully. 21st September 2009 Swallows left Greenfields Haworth, raised exactly the same brood as in 2008. An now the reaper fills hiz greedy hands, An binds the golden sheaf wi' brittly bands.